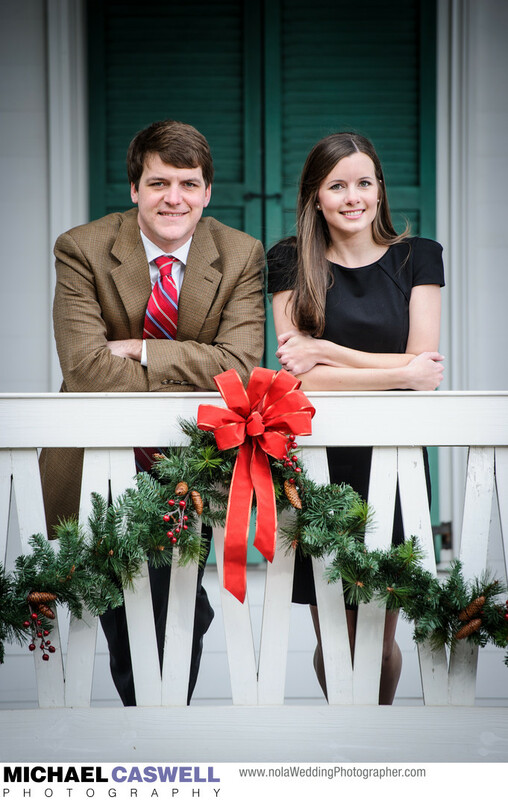 This charming Mississippi couple's engagement portrait session took place just a few days before Christmas, so Grass Lawn, the beachfront event venue in Gulfport, was decorated accordingly for the holidays. Though the original Grass Lawn home, built in 1836, fell victim to Hurricane Katrina's massive storm surge, an exact replica of this historic landmark was subsequently built on the same site, using the original construction methods, and continues to serve as a fantastic venue for weddings and other special events. Their beautiful and spectacular wedding took place the following Summer in Biloxi at Cathedral of the Nativity Blessed Virgin Mary and the Slavonian Lodge.